Learn how building corporate empathy built one employee at a time can address inequality, climate change and biodiversity around the world. 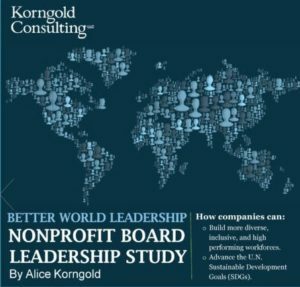 In this Sustainable Century Podcast, I speak with Alice Korngold, of Korngold Consulting. Our discussion examines how companies can positively act on pressing social, environmental and economic challenges by having employees work with non-profits on the front line of change. The key? Building corporate empathy for and understanding of affected peoples and communities. Armed with this knowledge, companies and communities can thrive in times of turbulent global economic and environmental change. Alice offers these and other exciting insights on how companies can help tackle some of the biggest issue facing humanity. Want to learn more? 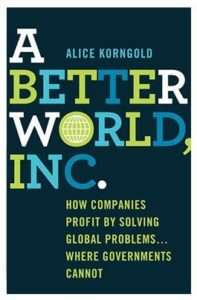 Check out Alice’s books: Better World Leadership and A Better World Inc.